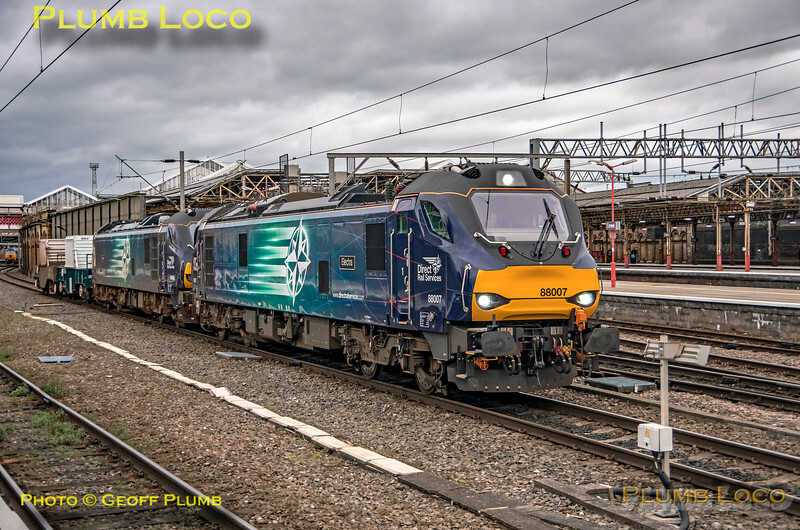 DRS Class 88s Nos 88007 "Electra" and 88003 "Genesis" start away from Crewe UDL with 6K13, the 14:57 flask train from Valley Power Station to Crewe Coal Sidings at 17:22¼ on Friday 22nd March 2019. Digital Image No. IGMP45052.